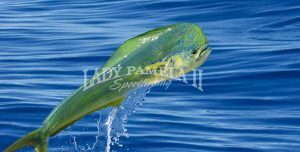 One of the most sought after fish by our customers and Captain David alike is the beautiful Mahi Mahi also known as Dolphin or Dorado. 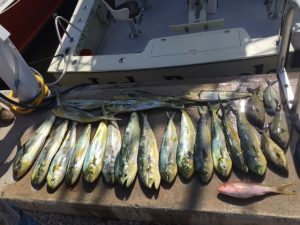 These fish not only show off vibrant, neon colors and fight like crazy but they are one of the best-tasting fish in the sea (known as the “chicken of the sea”). 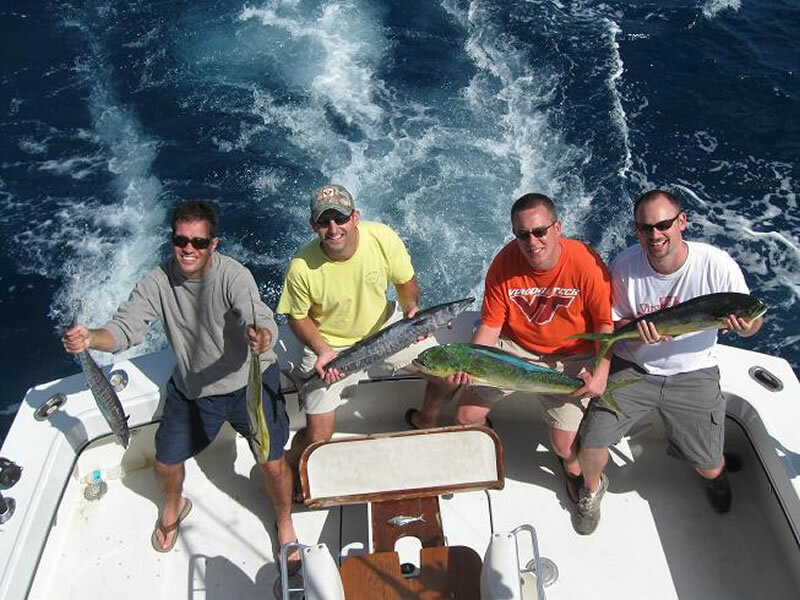 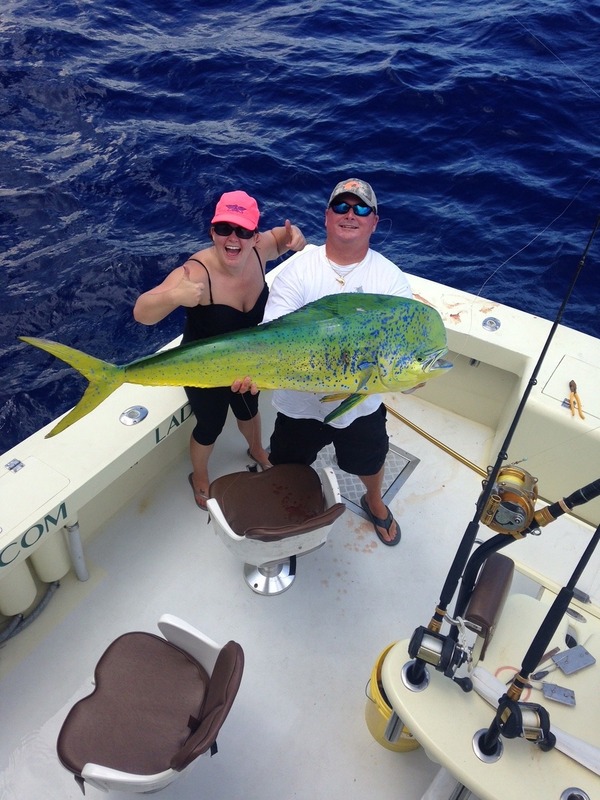 Due to our proximity to the Gulf Stream, we enjoy awesome Mahi fishing year round with the peak action during the summer months. 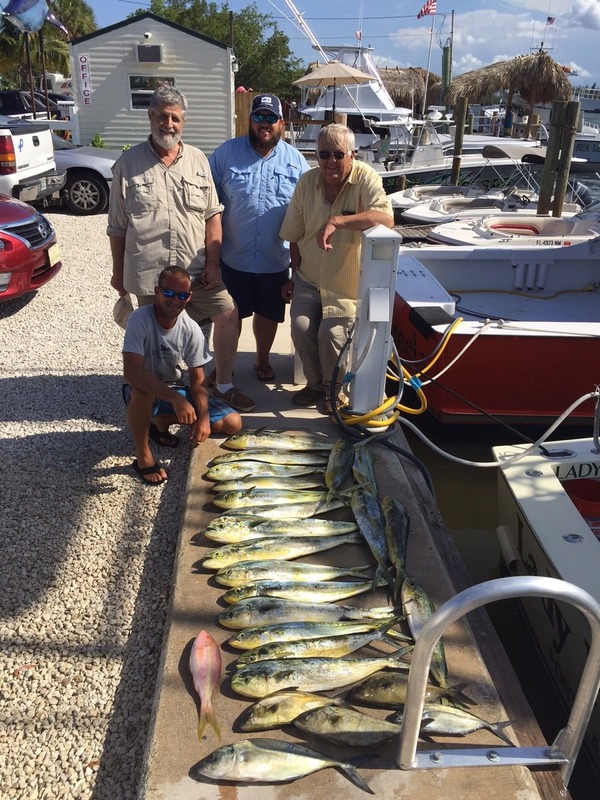 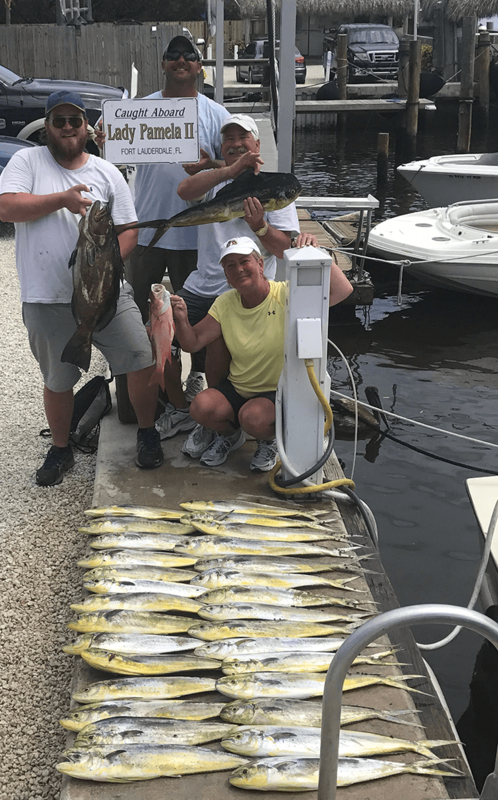 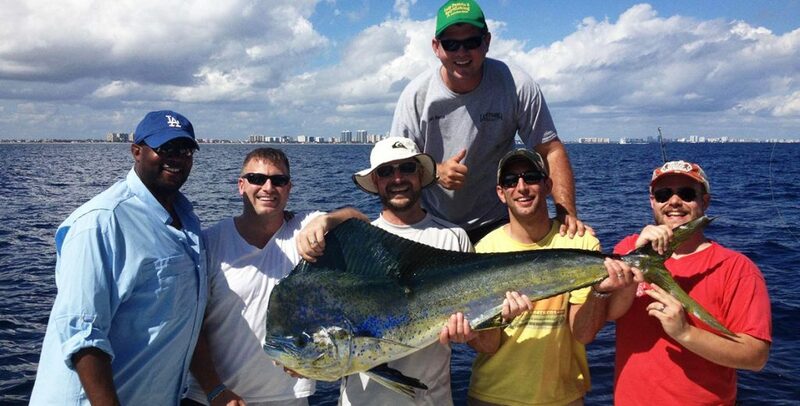 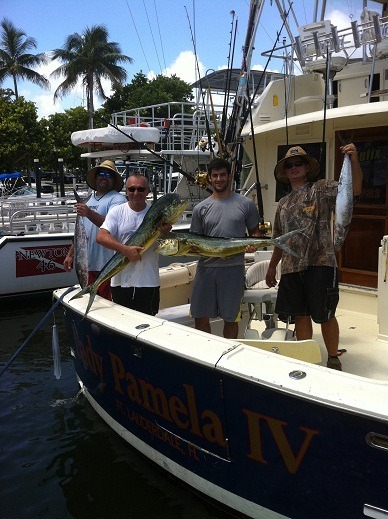 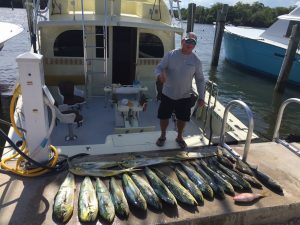 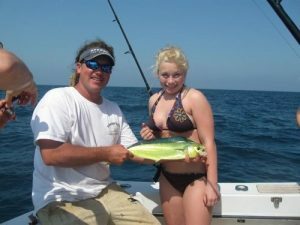 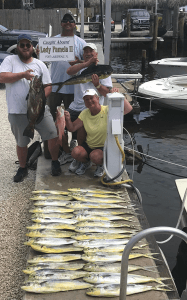 It is not uncommon for our customers to catch their Mahi limit (10 per person) on every trip during the summer. 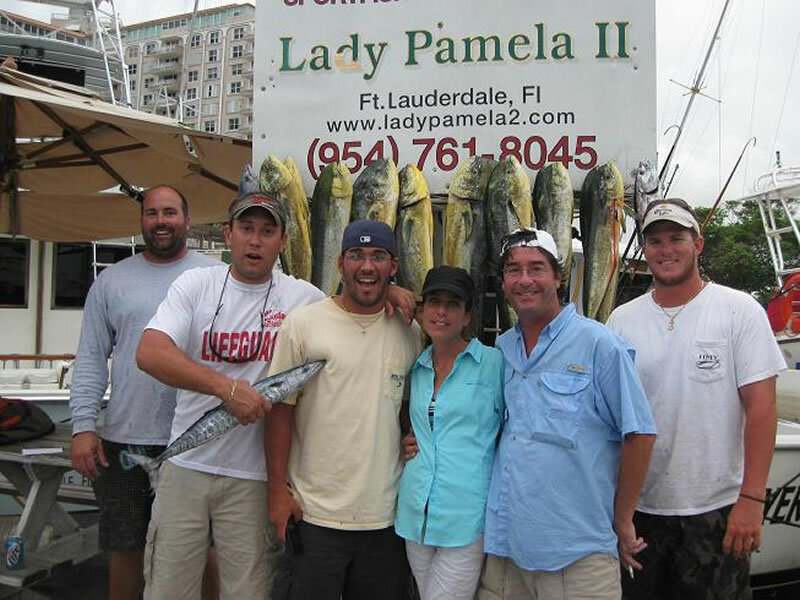 Be prepared to be sent home with countless bags of fillets for friends and family. 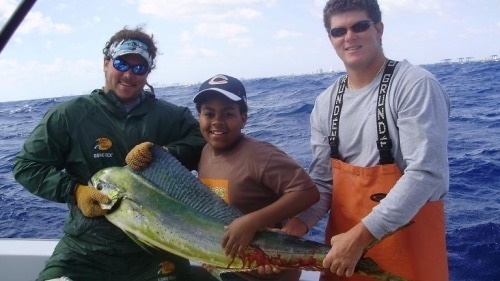 We catch Mahi ranging from 5 to 50 pounds with the biggest fish usually caught in the winter and spring months while kite fishing for sailfish. In the summertime, we’ll run offshore up to 20 miles in search of weedlines, frigate birds or floating debris. 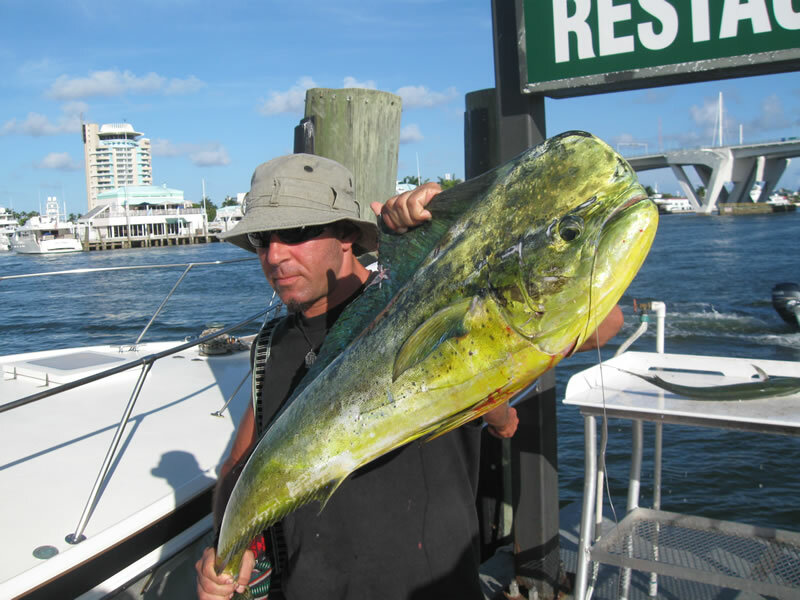 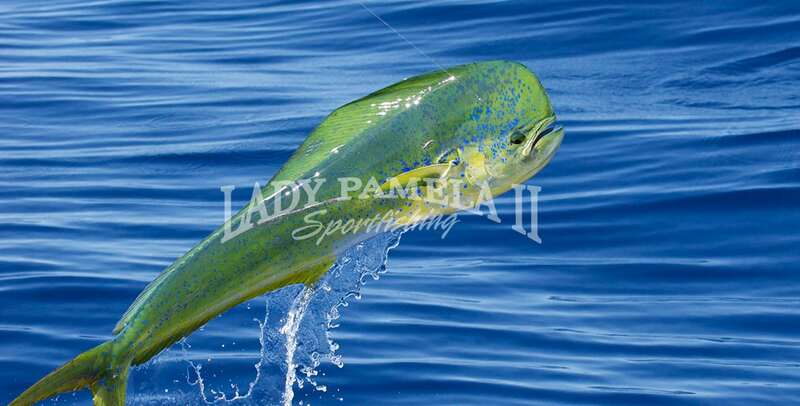 The Mahi usually hang under anything that holds bait and feed on it throughout the day. During the cooler months we don’t have to run out as far as the fishing is usually very good in the 100ft to 200ft depth range. 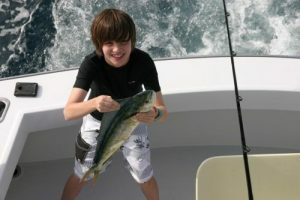 By fishing live bait on kites we catch a variety of other species including Wahoo, Kingfish, Sailfish, White Marlin, Cobia and much more. 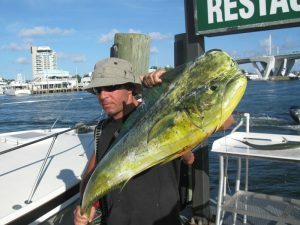 When you see a lit-up green and gold dolphin come up on a bait, there is nothing more exciting as they are extremely fast and the jumps are exhilarating! 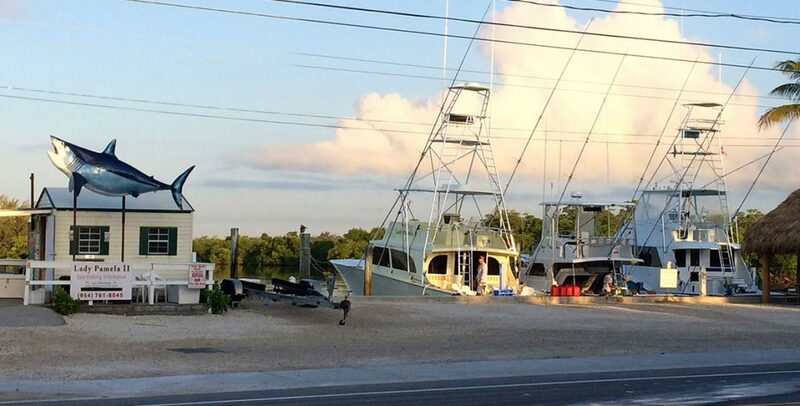 Every vessel in the Lady Pamela Sportfishing Fleet has a tower so that we can sight-fish the Mahi and give our guests the best chance at catching the fish. 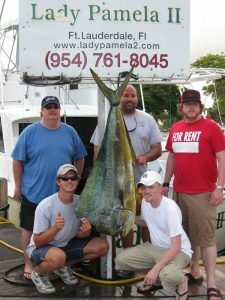 If you’d like to get offshore to chase one of the premiere pelagic species that the Atlantic Ocean has to offer, give us a call.